The reason why Fiver is called Fiver is because there were five (hrair) rabbits in his litter. Hazel is one of the others, but this still leaves at least three rabbits who are never mentioned, and presumably died in Sandleford's destruction. 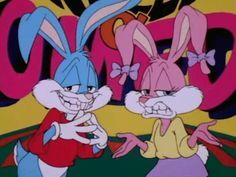 Why weren't these rabbits even briefly mentioned? Why aren't they? Well, because they don't matter to the story. This is a book based on actual rabbit behavior, and real rabbits probably don't care too much about their siblings in the long-run. Hazel and Fiver strike me as an exception, not a rule, and their bond seems to be predicated on Hazel being the only other rabbit who's realized that Fiver usually knows what he's talking about. Actually, that goes hand-in-hand with Hazels' trademark open-mindedness and ability to adopt new ideas relatively easily. Would be interesting to see how other rabbit sibling relationship play out once they're adults. I can't actually think of any siblings aside from Hazel and Fiver in any version of WD. Can't think of any from Sandleford, or Efrafa, or Cowslip's Warren, or Redstone, or Buttercup's Warren, or anywhere. I'm racking my brain here, and I can't think of any. We get Hazel and Primrose's kits in the series, but they stay children forever. The rabbits must have siblings, in fact, I'd be surprised if any of the WD rabbits were only-kits. That's just not how rabbit breeding goes normally. So, yeah, I'd definitely say that the three missing siblings just aren't really part of Hazel or Fiver's life at all, not any more than any other Sandleford rabbit. Come to think of it, the very reason Hazel remembers having four siblings at all might just be because Fiver is named for being hrair, just over four. Huh. Never thought about this before, but this is actually a pretty interesting quirk of rabbit life, intentional or otherwise. Can anyone confirm with me whether or not Hazel and Fiver are the only adult siblings with a bond mentioned in the whole franchise? But Hazel is great. In any case never listen to the other rabbits in any version or book. Nor will we see in the new series of WD. That is, as Hammy says, they do not contribute to history. Probably we will never know if Hawkbit had naughty sisters or Silverweed had loving parents, because these died after the bright wires. I guess Adams did try to make it more relistic with wild animals. I remember in the book Whitefang it says that mothers don't recognize their own pups after they grow up. The rabbits probably lose connection with one another right after they become weaned. Hazel and fiver are just spacial and still have their brotherly relation. The book doesn't set the story in sandleford warren long, so it seems that they didn't introduce even half of all the rabbits who lived there. You all make some valid points. It makes sense that most rabbit siblings would lose touch with each other, with Hazel and Fiver being the exception. Can anyone confirm with me whether or not Hazel and Fiver are the only adult siblings with a bond mentioned in the whole franchise? As far as I can remember, they are the only ones. Woundwort's siblings are briefly mentioned, but apart from Woundwort himself, they were all killed by a farmer when they were still kittens, and no special bond was mentioned. They might have died before they were weaned, or something else happened to them. When I've bred small mammals (usually gerbils), I found it was quite common to lose a litter so if that can happen in captivity, it could happen in the wild. Winter, predators or an illness might have got them. We can never be sure what bonds that animals have because we don't experience the world in the same way that they do. I also wouldn't use White Fang as a basis on the behaviour of wolves and dogs - it's just a fiction book written over a hundred years ago. Wolves and dogs are pack animals where family is the basis of their pack. (Look up David Mech's Arctic Wolf book.) Even foxes can sometimes stay in loose family groups (they aren't as socially intense as wolves are) after the cubs have become independent and help their mother raise cubs the next year, though whether they do or not is dependent on how much food is available in their territory. Stephan Harris' research on urban foxes in Bristol is worth a look. With wild rabbits, though, I can't say because I've not looked at research papers on them, and havn't really been an interest of mine. I think their siblings probably, after the initial togetherness as kittens, just went on their own merry way in life and Hazel and Fiver just happened to have that stronger bond to stick together. As far as I can remember, they are the only ones. Now that the miniseries has been released, this isn't accurate anymore. You also get Orchis and Vervain. But it does seem likely that, if they were still alive at the time of Sandleford's destruction, they didn't have any special bonds with Hazel and Fiver, so they just lived their lives separately.